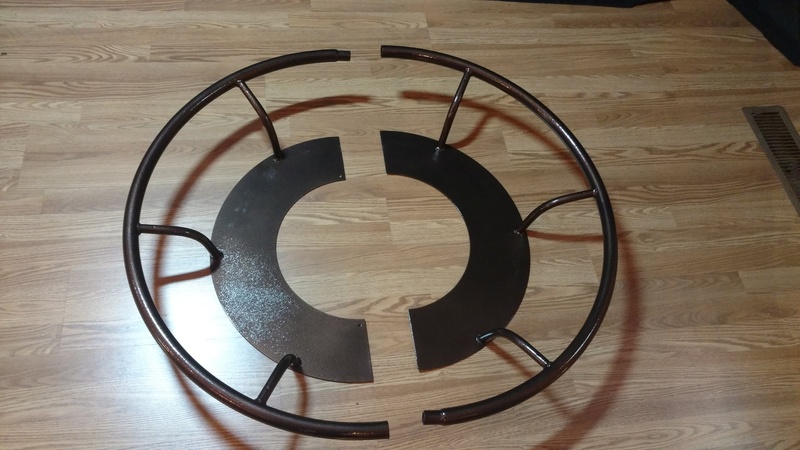 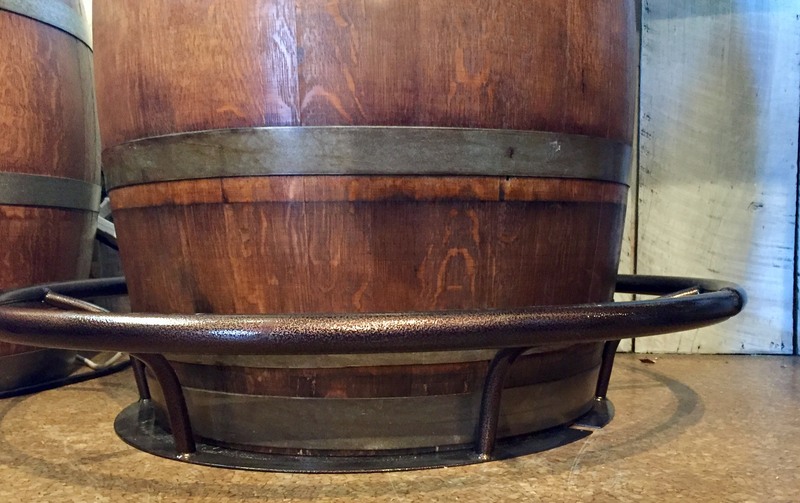 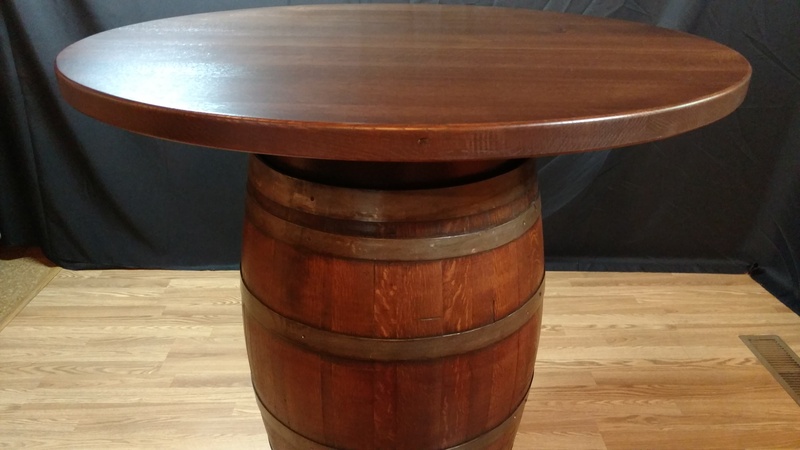 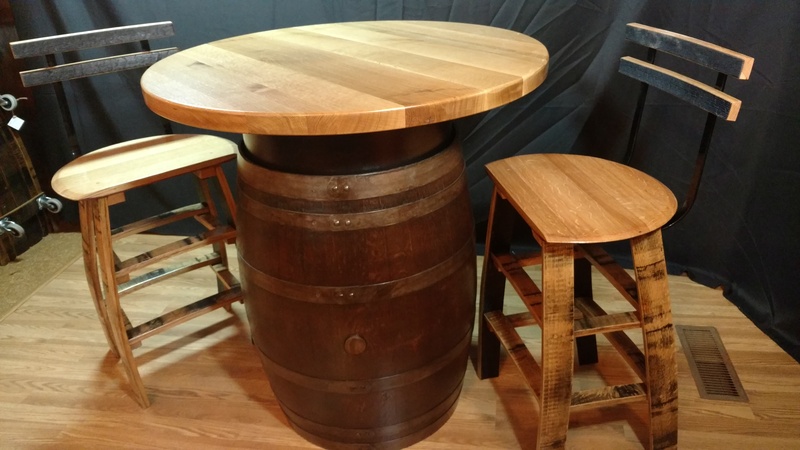 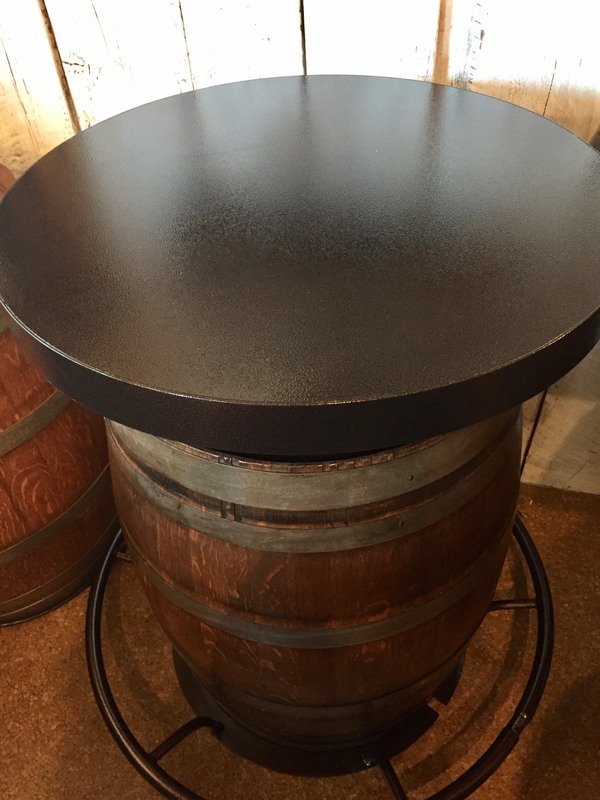 Our Barrel Foot Rail is made in two sections that fit together to form a circular foot rail around the base of most standard wine and whiskey barrels. 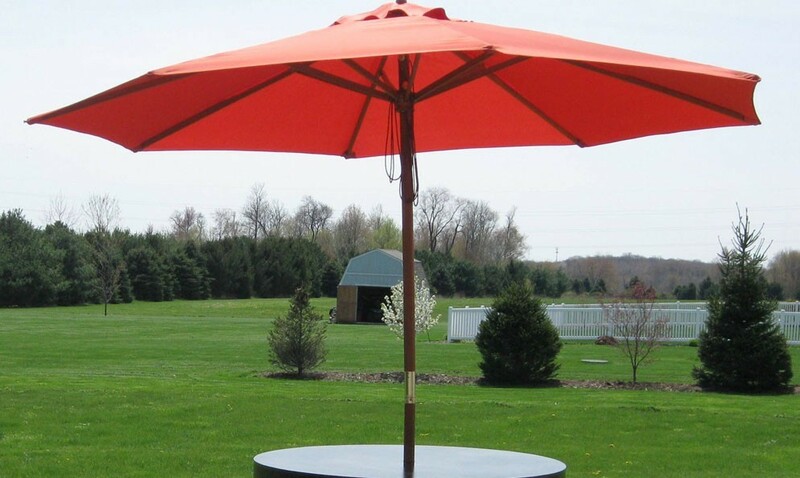 They are made in a tubular metal formation, powder coated, no hardware, no lifting, easy to install. 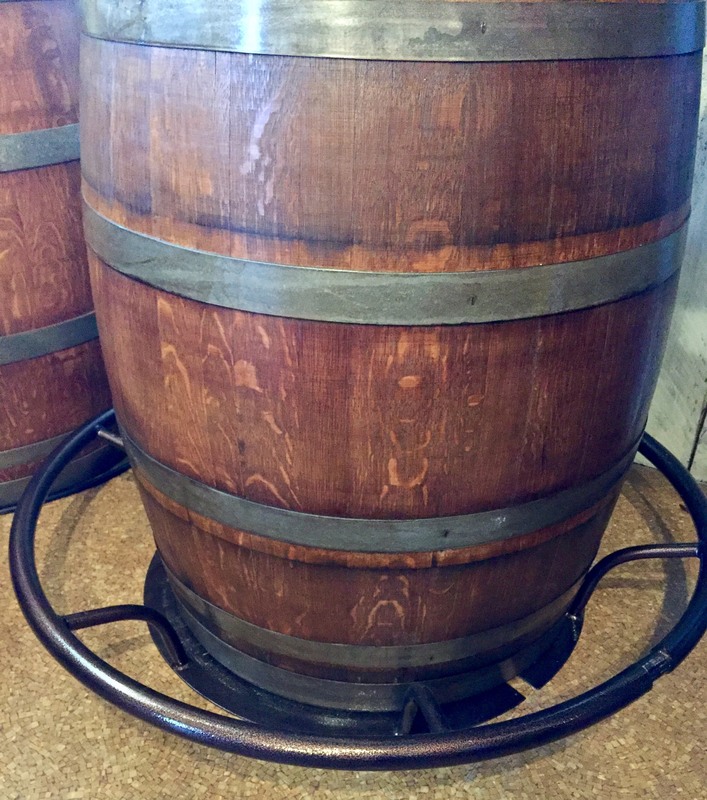 The bottom fits underneath your barrel so it won’t tip. 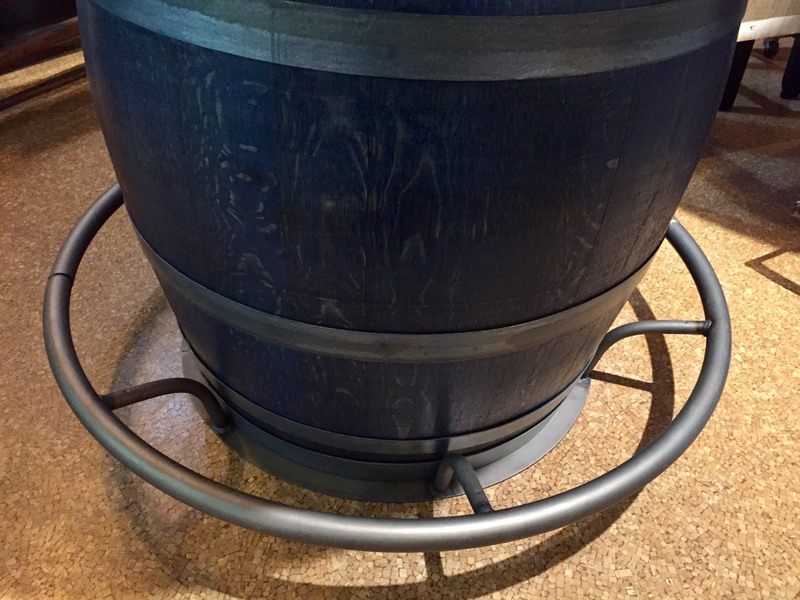 It works with up to 24″ wide barrel bottom. 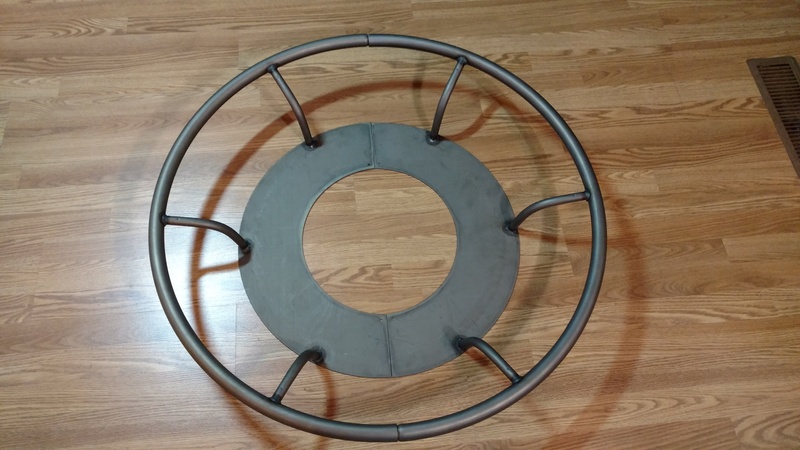 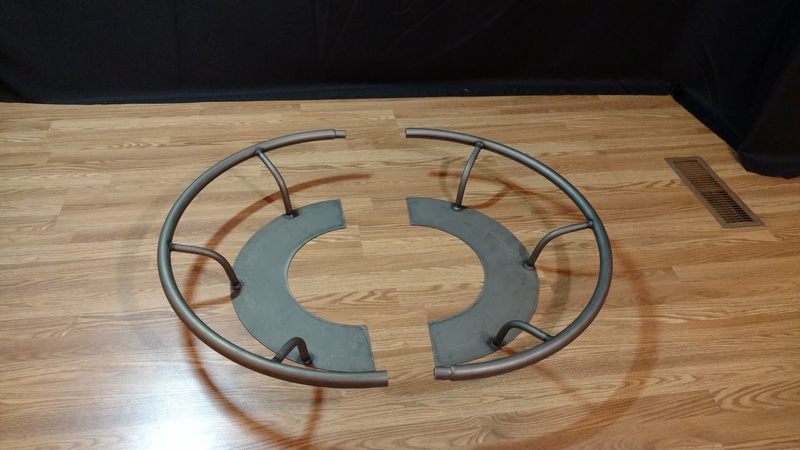 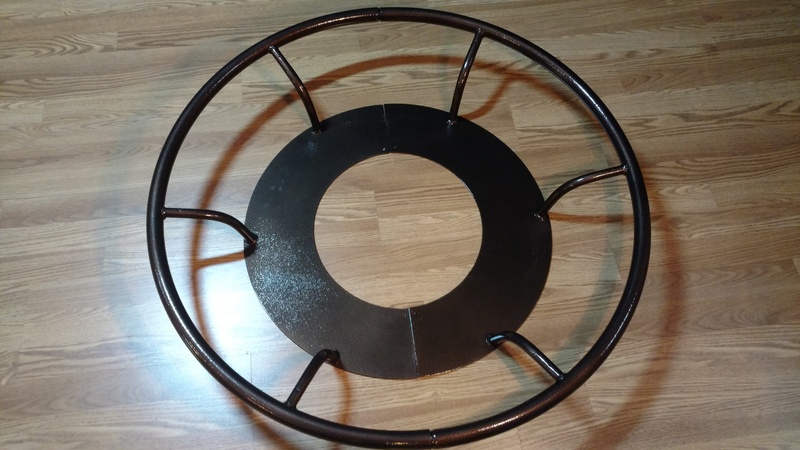 The foot rail is 36″ wide and stands 7″ high. 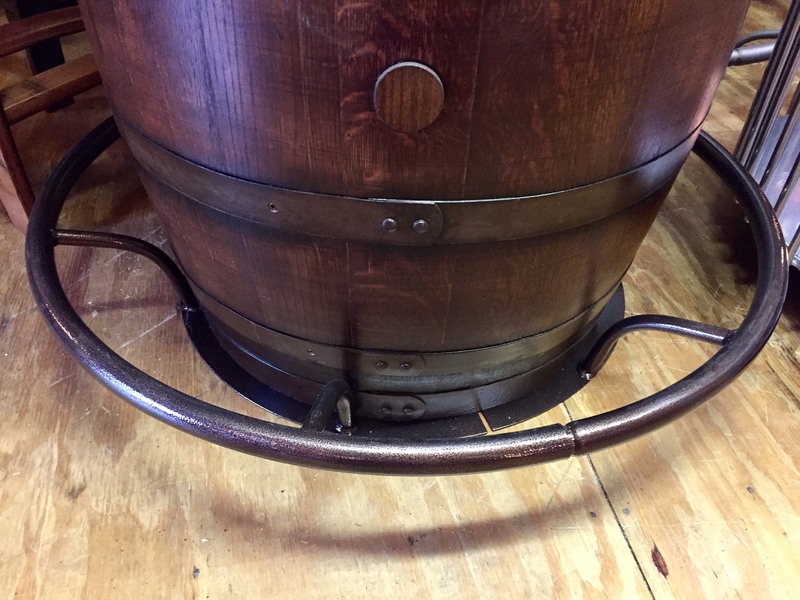 Our Barrel Foot Rail is available in either a Hammer Bronze or Hammer Pewter finish.